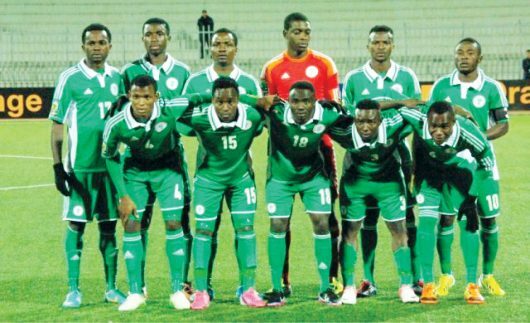 Nigeria’s U-20 national side, the Flying Eagles on Tuesday were held to a scoreless draw by South Africa in their second Group A match of the CAF U-20 Africa Cup of Nations in Niamey. The game was the first of the tournament not to record a goal after full time. The Flying Eagles had the most of the possessions and clear cut scoring chances in the match. Nazifi Mohammed set to head the ball midway into the first half for a possible opener was denied by the South African keeper while Abubakar Ibrahim’s speculative shot from the edge of the South African box in the 43rd minute was tipped over by the ‘Amajita’ goalkeeper Khulekani Khulebka for corner kick. The pressing game deployed by the Nigerian side effectively in the first half somewhat cooled in the second half albeit Nazifu Mohammed’s long range strike in the 78th minute almost broke the deadlock. Nigeria’s Paschal Durugbor pounced on a poor clearance by the South African keeper Kubehka but his rasping shot from a lovely swivel missed target. The impressive South African keeper also saved a powerful shot from 25 yards from Muhammad Muhammad with five minutes left to play. The Eagles will need a draw or outright win depending on the outcome of the Niger versus Burundi game later Tuesday night to confirm qualification for the semifinals and ultimately the FIFA U-20 World Cup in Poland.